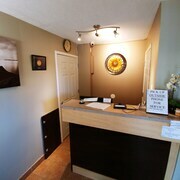 Situated near the beach, this motel is within a 15-minute walk of Watrous Civic Centre, Watrous Cenotaph Park, and Watrous Ballpark and Swimming Pool. Situated near the beach, this motel is within 1 mi (2 km) of Watrous Civic Centre, Watrous Cenotaph Park, and Watrous Ballpark and Swimming Pool. 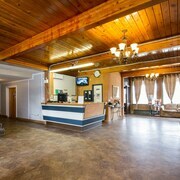 Situated in Lanigan, this motel is within 1 mi (2 km) of Lanigan Ballfield and Lanigan Golf and Country Club. 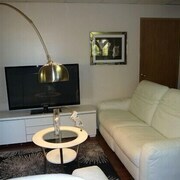 We were only there for the one night but was very pleased with how clean the rooms were. Would stay again. Very charming! Loved our stay and would highly recommend staying at your cottage! Bright and charming! Everything we needed! Where can I find hotels in Manitou Beach that are near tourist attractions? 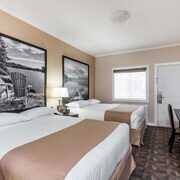 If you are searching for accommodation in Manitou Beach, it's helpful to know that Expedia's booking website of hotels in Canada doesn't include hotels within Manitou Beach itself. 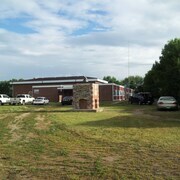 Lanigan is 35 kilometres (21 miles) from Manitou Beach. 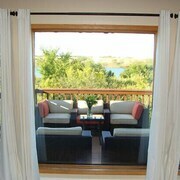 It offers a number of Expedia-listed hotels and apartments including the Ross Inn Motel and Lagana Hotel. The Humboldt and District Museum is a commonly visited tourist destination here. Find accommodation in Humboldt, which is 60 kilometres (36 miles) to the northeast of the heart of Manitou Beach. The Canalta Humboldt and Bella Vista Inn are among the choices. Just because you are traveling, doesn't mean you can't indulge in your obsession for sport. You'll find Credit Union Centre 100 kilometres (62 miles) to the northwest of Manitou Beach. Book accommodation near the action at the Saskatoon Inn or the Travelodge Hotel Saskatoon. If you are flying into or out of John G. Diefenbaker International Airport and choose to stay nearby try The James Hotel or Delta Hotels by Marriott Bessborough. Are there hotels in other cities near Manitou Beach? 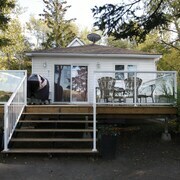 What other types of accommodations are available in Manitou Beach? Explore Manitou Beach with Expedia.ca’s Travel Guides to find the best flights, cars, holiday packages and more!